Κάποιος πρέπει να σπάσει τούτη τη φρικτή σιωπή, να θρυμματίσει τη βαριά ακινησία και την αφόρητη αμιλησιά. Αβίωτος ο βίος στη χώρα του τίποτα και του κανενός. Να πάμε, αφού πρώτα έρθει ο Ερχόμενος στην καρδιά. Αν δεν έρθει Αυτός, κανείς μας δεν πρέπει να πάει πουθενά, κανείς μας δεν πρέπει να πει ή να κάνει τίποτα. Οι δεύτεροι κενοί είναι οι γραφικοί συμφταίχτες: αυτοί που αυτοπαραχωρήθηκαν στο σβησμό της αγνωσίας και της απόγνωσης που έφερε η έλλειψη της αγάπης ή η παρουσία της ψευδαγάπης τους. Κάθε άνθρωπος είναι κι ένα μυστήριο, ένας πόνος, μια δίψα, μια χαρμονή, ένα κράμα, ένα μεγαλείο, μια μικρότητα, ένα έτσι, ένα αλλιώς, απροσδιόριστος σε προσδιορισμούς, χαμένος στις γενικεύσεις, ορατός μέσα από συγκεκριμενοποιήσεις. Να είμαστε ερωτευμένοι με την πραγματική παράδοση της αληθινής πνευματικότητας· από τα πράγματα και όχι από τις θεωρίες ερωτευμένοι με τον Θεό και τον πλησίον. Να γίνουμε ωραίοι «αποστολικοί» άνθρωποι: αυτοί που, από διάκριση και συναίσθηση, δεν είναι και δεν θέλουν να είναι αυτόκλητοι και εγώκλητοι, αλλά αισθαντικά χριστόκλητοι. Καμία σχέση με ιεραποστολικούς αυτοσχεδιασμούς, με προτεσταντικές εξάρσεις και οίστρους, με σχέδια και εκστρατείες σεκτών. Τέλος πάντων, οι καρδιές γυρεύουν έναν άνθρωπο να βρουν σ’ αυτή τη ζωή. Η αγάπη στα στέρνα και ο τρόπος της παράκλησης βρίσκονται στη χάρη της αλήθειας, που πρέπει να λάβεις για να ζήσεις και για να μεταδόσεις χωρίς να το γνωρίζεις και να το επιχειρήσεις καν, απλά γίνεται απίεστα, ελεύθερα, ακαλούπωτα, βιωματικά, τάχα από σένα, αλλά στην ουσία από τον Θεό. Περίμενε και μέριασε, αν δεν έχεις δίψα, καημό, πόνο και πόθο... Παρ’ το χαμπάρι: κανείς δεν σε θέλει και κανένας δεν γυρεύει εσένα. Όλοι όμως θέλουν έναν και γυρεύουν εκείνον που έχει τη χάρη της αντίληψης, έναν που να στείλει επιτέλους ο Θεός. Κι αν ζήσουμε, ας γίνουμε. Απεσταλμένοι ή καλεσμένοι. Κι ας μη πάμε πουθενά με το κάρο του σώματος. Η καρδιά μπορεί να κάνει τα πάντα, αν νιώσει ότι αποστέλλεται ή προσκαλείται, αν νιώσει ότι αποστέλλεται κάποιος προς αυτήν, ανταποκρινόμενος στα μύχια υπαρξιακά και πνευματικά της αιτήματα. Και οι καρδιές που παραδίδονται στη χάρη, είναι πάντα αυτές που αισθάνονται πλήρως ενώπιόν τους το καθαρό μυστήριο της Εκκλησίας και των προσώπων που στέλνονται μοναδικά προς αυτούς, από Θεού. Μυστήριο Χριστού με αποστολική ευπρέπεια και ενάργεια. Που έρχεται για ν’ αφανίσει τη νύχτα του πόνου, την καταχνιά των λογισμών, των ιδεών και των πλανών μας. Διαδικτυακή Ιεραποστολική Ομάδα "Η Μαρτυρία του Χριστού στα σύγχρονα έθνη"
Glory to the Father and to the Son and to the Holy Spirit. 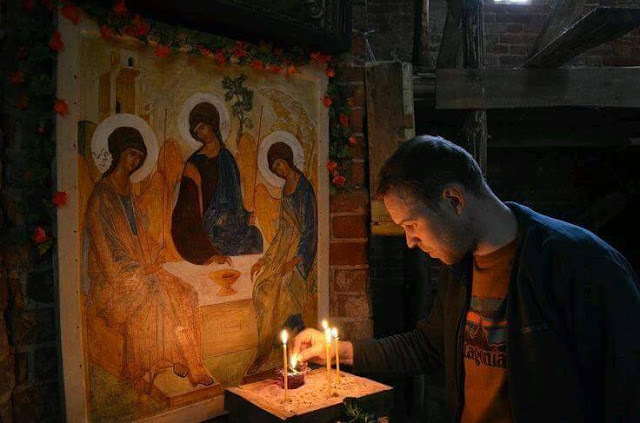 O holy Apostles, and all Saints, Intercede for us To be delivered from dangers and sorrows; For we have You as fervent Intercessors In the present of the Savior. 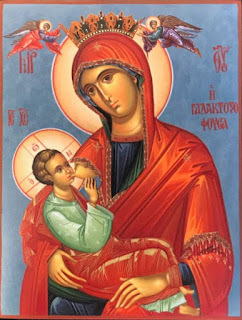 In your compassion we take refuge, O Theotokos, Do not overlook our requests and circumstances, But deliver us from dangers, For You are the only pure, the only Blessed. "Go ye therefore, and teach all nations, baptizing them in the name of the Father and of the Son and of the Holy Spirit; teaching them to observe all things whatsoever I have commanded you; and lo, I am with you always, even unto the end of the world" (St. Matthew 28:19-20). 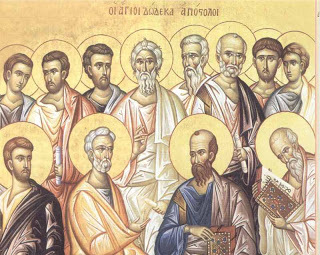 The Holy Apostles organized the converts into groups called Churches. To these Churches the Holy Apostles handed down the treasure of the new Gospel, their eyewitness account of the Logos (Word) as they actually saw it take place, preserving it forever through the Church. This is the Gospel-The Tradition in the broad sense of the word-which we cherish today. Taking the Truth from the Apostles, the Orthodox Church is an "Apostolic" Church; it has its roots in the Apostolic ministry and succession, the apostolic Faith and Creed, and the Apostolic word and Scriptures by which the Holy Apostles and their immediate successors defended the Orthodox Faith and kept it undefiled against heresies and persecutions. Sometimes the voice of the past is the clearest and most vivid guide for the minds and hearts of men of today, taking them out of the confused values of this life. Sometimes the lives and deeds of men of the past are unforgettable and stand as light posts to illuminate the road for a future achievement. They stand as unshakable rocks on which the waves of disappointment of life lose their force and disappear. The Holy Apostles of Christ are both the rocks and the light posts for our life. To them, our ancestors in the Christian heritage and faith, this pamphlet is humbly dedicated, that both the writer and the reader might imitate their devotion and work and appreciate their convictions in Christ, "in Whom they lived and moved and had their being" (Acts 17:28). The Greek word "apostle" conveys to us the meaning of messenger, delegate, envoy or collector of tribute paid to the temple service. In the Gospels the Twelve were simply to be Christ's envoys. As Jesus was sent by His Father, so the Apostles were sent by Jesus. Jesus Christ used contemporary terms for "apostle" and gave it His own content and interpretation stressing the idea of being "sent," which means that an Apostle is a man with a mission throughout his entire life. Jesus Christ Himself gave the title "Apostle" to the Twelve in St. Luke 6:13 and St. Mark 3:14, "Whom he also named apostles." The term "apostle" ("απόστολος" or apostolos" in Greek; a derivative from "apostellein", meaning "to send") signifies a special mission. 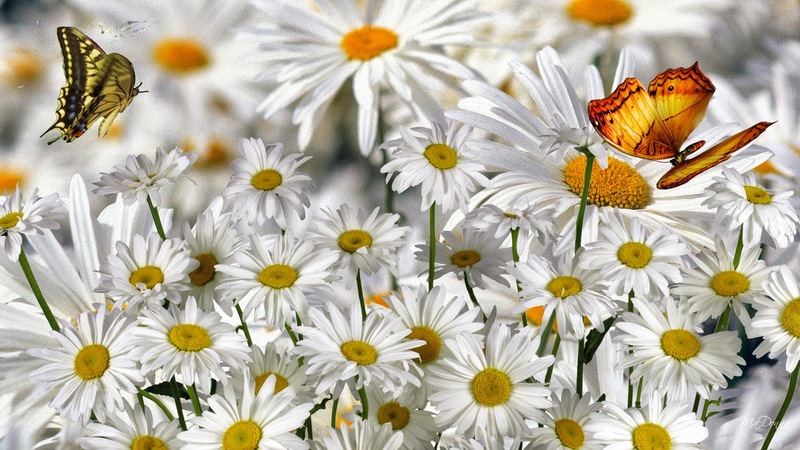 An apostle is the commissioner of the person who sent him. Therefore, the term apostle is more definite than the term messenger (in Greek "angelos"). The apostle does not merely transmit a message, but he works to put it into practice among the recipients, both to let them understand it aright and to apply its contents in their faith and life. Some of the Twelve Apostles were disciples of the Forerunner of Christ, Saint John the Baptist. They were acquainted with the Scripture and the expectations of their master. When Saint John the Baptist was "looking upon Jesus as He walked, he said, "Behold the Lamb of God" (St. John 1:36). Saint Andrew, one of Saint John's disciples, with another, "heard Him speak, and they followed Jesus" (v. 37). They followed Him without asking. Thus the Apostolic Church began. It was through their own efforts to find out and discover the truth for themselves. They persisted, and "came and saw where He (Jesus) dwelt, and abode with Him that day" (v. 39). They had a long audience with Jesus. What did they discuss? We do not know. What we do know is that they came out of this sanctuary with, a definite faith in Him. He was the One they were expecting. Saint Andrew felt the impulse to express his belief to others. He first found his brother Simon and said to him, "We have found the Messiah", which means Christ, and "he brought him to Jesus" (v. 42). Saint Andrew's act stands as an example for every disciple and apostle thereafter. First, the pure desire to seek the Truth; second, acquaintance with revelation and obedience to it; third, acceptance and conviction of the Truth, and then a full confession and proclamation of the faith. These acts make the Church a growing and moving entity. After Saints Andrew and Peter and John, "one of the two", Jesus found St. Philip in Galilee, and called him to His crew; St. Phillip not only followed Him, but stated his conviction to Nathaniel, we have found Him of Whom Moses in the Law and also the prophets wrote...come and see" (St. John 1:45, 46), and Nathaniel saw Him and believed in Him: "You are the Son of God! You are the King of Israel," he exclaimed in words to be echoed by millions in the generations to come. One day passed and five promising people were His devoted companions. Christ was no longer alone-except at His agony, and on the Cross. Walking along the shore of the "sea of Galilee", which actually is a lake, Jesus met again the two brothers, Simon and Andrew, who were casting their nets. 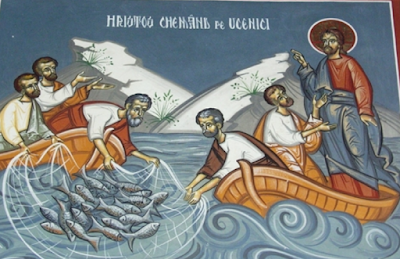 He commanded them now to follow Him and become fishers of men. At the same time and place Jesus found James and his brother John, fishers at the shore of the Sea of Galilee. He called them to follow Him. All obeyed instantly (St. Mark 1:16-20). Jesus called Matthew, Levi, in the same way (St. Mark 2:16; St. Matthew 9:9) in Capernaum. He was a collector of taxes, probably of the customhouse of this city. Matthew left this position, bade farewell to his fellow officials and followed the Lord. What a challenge for us today-for the merchants and the while collar workers! They left work and home, pleasures and habits; they discarded the dreams of their youth and on the ruins built firmly a new fortress of defense and appeal. They demonstrated that an immutable conviction in the living God can move mountains. "He ordained twelve that they should be with Him, and that He might send them forth to preach and to have power to heal sickness and to cast out devils." But the Lord's aim was more than that. It is described by Him on the eve of His death. He expected them to be His envoys on earth. Their supreme duty was to bear witness to Him; to teach the world how He lived, what He said, what He wrought. Jesus prayed for them: "As Thou have sent Me into the world, even so have I also sent them into the world" (St. John 17:18). The Apostles spent less than three years with their Master. 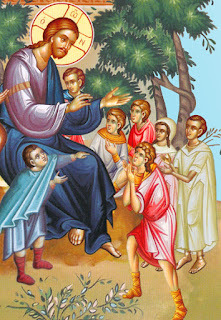 He called them "that they might be with Him" (St. Mark 3:14) to be trained and educated, and them "that He might send them forth to preach" the Gospel and minister unto the people. Their work between these two stages is in agreement. It has been changed only in the stages of advancement. But what a change! From pupils they became teachers; from followers of Christ, they became leaders, bringing people to Christ. They started as disciples and in three years advanced as Apostles. They visible Guide, their Lord, became the invisible One, "The Spirit of Jesus" (Acts 1:6, 7), always present as He was before. Jesus Christ selected them after devoting one night in prayer for their ministry. After their training, Jesus prayed for them and their future, even up to a few moments before the arrest. The prayer was recorded by one of His Apostles. He empowered them with the Holy Spirit on the day of the Pentecost. The mighty Spirit as "tongues of fire" descended on the Apostles and transfigured their doubts and fears and attitudes in such a marvelous way that they became heralds of the new mission. Their chief duty was to bear witness to the Savior Jesus Christ. His life, teaching, and atoning work, and especially to bear witness to Christ's Resurrection, "a witness to His Resurrection", "proclaiming in Jesus the resurrection of the dead." "And with great power the Apostles gave their testimony to the Resurrection of the Lord Jesus" (Acts 1:22; 4:2, 23). 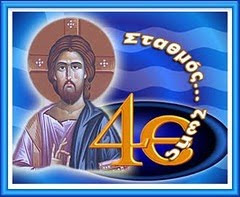 The ministry of the Holy Apostles was guided and blessed, and they were aware of this. They felt the presence of Christ and the companionship of the Holy Spirit in every step and turn of their work. Also, they were aware of their appointment. They were not presenting themselves, but were representing the Lord as Prophet, Priest, and King, with authority and effectiveness. They appointed their successors and thus established the special priesthood of the Church. 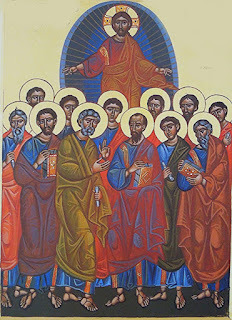 In the Orthodox Church there is no ordination of deacon, priest and bishop without referring to the Holy Apostles through the lists of names of predecessors. Thus, the Apostolic Succession is very important not only for the teaching of the Church, but also for its sanctification. It is accepted in the Orthodox Church that the Bishops of the Church are the successors to the Apostles. The Orthodox Church, upholds the Creed in which, for centuries, the beliefs of the Orthodox Christian Faith have been stated. In the ninth article of the Creed the Church is defined as "one, Holy, Catholic and Apostolic". 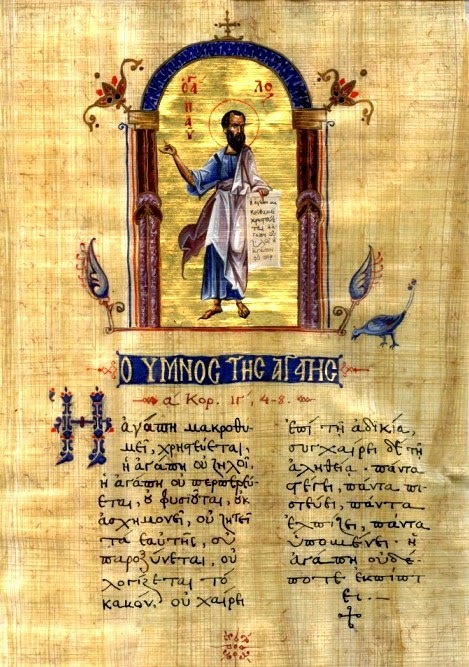 One for its unique Lord; Holy for its sanctification; catholic as preserving for all ("katholou") the whole truth, and Apostolic through its establishment by the Holy Apostles, whereby Scripture and Tradition refers to the Apostles and, through them, to Christ. 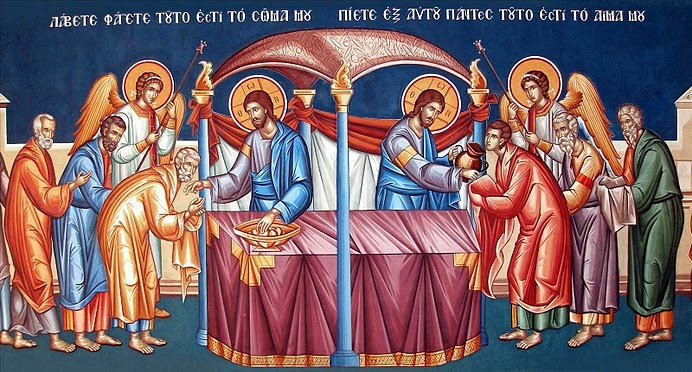 The Church is the bulwark of the Truth because the Holy Apostles who established the Church trained and appointed its "Proestos" (religious leaders) and bequeathed to it the oral and written teachings. The Holy Apostles exercised in worship and prayer, in preaching and pastoral work, the New Testament of the Lord. By them and through them the believers of the Church, in the past and the present, rejoice in learning the atoning truth and will of the Living God. The personal life of the Holy Apostles is not very well known. For some of them we know nothing except names. But their work remains for generations to come. It was their intention to carry on the Lord's work and will, rather than their own. From the fruits of their work we visualize their character and intentions. Andrew the First-Called. A disciple of Saint John the Baptist, Andrew heard him refer to Jesus as the Lamb of God. Andrew asked for an audience and saw Jesus for a day, then proclaimed, "We have found the Messiah." Eusebius the historian in his Church History states that Saint Andrew later went to Scythia. According to tradition he was martyred at Patras, Greece, crucified on an X-shaped cross, which since has become known as Saint Andrew's cross. He is regarded as being connected with the writing of Saint John's Gospel. According to tradition, he is the founder of the Ecumenical Patriarchate of Constantinople. James (the Greater). He was the son of Zebedee. He, with his elder brother John and with Peter, constituted the privileged group-the inner circle of the disciples. Saint James was present at the Transfiguration and the Agony in Gethsemane. His zeal was ardent and he and his brother were named by the Lord "Boanerges", which means "sons of thunder". Saint James was beheaded by Herod Agrippa I in A.D. 44, the first of the Twelve to suffer martyrdom. John. He was one of the inner circle with Saints Peter and James. The son of Zebedee and is the author of the Fourth Gospel, the Book of Revelation and three Catholic Epistles. He was imprisoned with Saint Peter and later appeared in the Sanhedrin. Saint John was sent with Saint Peter to Samaria, where they prayed that the converts might receive the Holy Spirit. In Jerusalem, he was present at the Council of the Apostles. Saint John was "one of the two" with Saint Andrew who first had an audience with the Lord. He was the one "whom Jesus loved" and was reclined on his bosom at the Mystic Supper. Jesus from His Cross entrusted His Holy Mother to Saint John at the foot of the Cross. He was the one who ran with St. Peter to the tomb on the morning of the Resurrection, and who recognized the Risen Lord at the Sea of Tiberius, where our Lord spoke to him the words that he would not die (St. John 21:7). According to tradition, he went to Asia Minor and settled in Ephesus. Later he was exiled to the island of Patmos, Greece or the island of the Apocalypse. Phillip. He is the Apostle from Bethsaida who obeyed the call of Jesus and led Nathanael to Christ. At the feeding of the 5,000 people, Jesus said to Phillip to buy bread, and Phillip answered Him, "Two hundred denarri would not buy enough bread for each of them to get a little." Phillip on another occasion asked Jesus, "Lord, show us the Father" and Jesus retorted, "Yet you do not know Me Phillip?" Saint Phillip the Apostle should not be confused with Phillip, one of the Seven Deacons. The Apostle Phillip preached the Gospel in Asia and suffered crucifixion, according to tradition. Bartholomew. His name is patronymic, meaning "son of Tolmai". 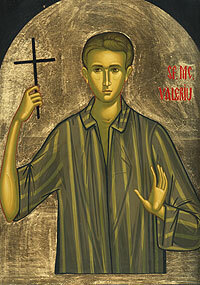 Sometimes he is identified with Nathaneal whom Phillip led to Christ. According to the historian Eusebius, when Pantainus of Alexandria visited India between 150 and 200 A.D., he found there the Gospel according to Saint Matthew left behind by Saint Bartholomew one of the Holy Apostles. According to Tradition, Saint Bartholomew was flayed to death at Albanapolis in Armenia. Matthew. He was the evangelist who was a Jew and a tax-collector referred to as Levi before he was called by Christ, Whom he followed. 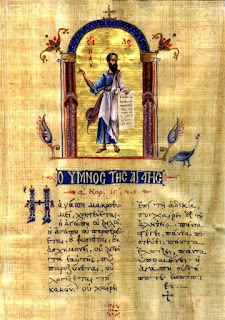 He is the author of the First Gospel (Evanggelion). In his genealogy of Jesus Christ, he emphasizes the Lord's human nature and origin. Therefore, in Christian symbolism, St. Matthew has been represented by the figure of man (cf. Rev. 4:7). The holy icon of St. Matthew in the Orthodox Church is to be found in one of the four triangles which are formed by the arches connected to the dome of the Church. Thomas. He was called the Twin. On the way to Bethany he offered to die with Jesus. He interrupted the last discourse of Jesus with the questions "We know not whither Thou goest; how know we the way?" Saint Thomas doubted the Resurrection of Christ unless he were to touch the wounds of the Risen Lord, but later confessed his faith in Him: 'My Lord and my God'-the first to confess so explicitly the Lord's Divinity. According to Tradition, Saint Thomas evangelized the Parthians. 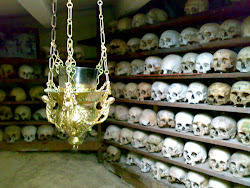 The Syrian Christians of Malabar [in India] called themselves "Christians of Saint Thomas" and claimed they were evangelized by the holy Apostle Thomas, who was martyred and buried at Mylapore near Madras. James (the Lesser). He was the son of Alphaeus. Was he the Lord's relative? This is doubted. 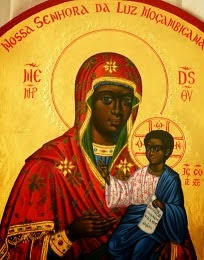 Was he James the younger (or the "lesser", St. Mark 15:40)? There are insufficient reasons to establish this either. Nothing is known of him. Simon. He was called Cananaean and Zealot, two terms of the same Hebrew word. According to the Apocryphal "Passion of Simon and Jude", both of them preached and underwent martyrdom in Persia. In the New Testament, Simon of the brethren of the Lord, was identified with St. Simon the holy Apostle. There were many others bearing the same name in the New Testament. Jude. He is the holy Apostle referred to in the Gospel as "Judas of James", "Judas not the Iscariot". He also is known as St. Thaddaeus or Lebbacus. St. Jude was the brother of James (or the son of James RV), the "brethren of the Lord"-the Lord's relative. Saint Jude is the author of the Epistle of St. Jude. The Apocryphal "Passion of Simon and Jude" depicted them in Persia where they preached and underwent martyrdom. Judas Iscariot. A selected Apostle, one of the Twelve, he betrayed Christ to the Jewish Sanhedrin-the supreme council and highest court of justice in Jerusalem-and kissed the Lord at the time of the arrest. He later committed suicide. The title "Iscariot", meaning in the Hebrew "man of Kerioth", a place in South Palestine, implies that Judas was from Judea. He was the only one from there, whereas the other holy Apostles were from Galilee. 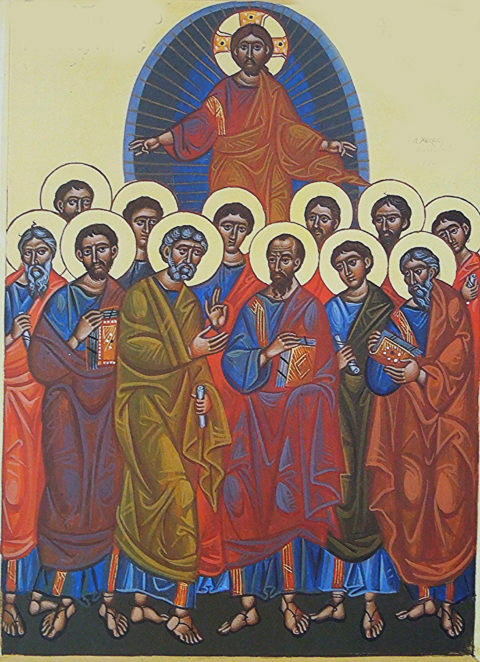 After his suicide the holy Apostles elected Mathias to replace him as one of the Twelve Apostles. Apostolic succession is the tracing of a direct line of Apostolic ordination, Orthodox doctrine, and full communion the Apostles to the current episcopacy of the Orthodox Church. All three elements are constitutive of Apostolic succession. It is through Apostolic succession that the Orthodox Christian Church is the spiritual successor to the original (authentic) body of believers in Christ that was composed of the Holy Apostles. This succession manifests itself through the unbroken succession of its bishops back to the Holy Apostles. The unbrokenness of Apostolic succession is significant because of Jesus Christ's promise that the "gates of Hell" (St. Matthew 16:18) would not prevail against the Church, and His promise that He Himself would be with the Apostles to "the end of the age" (St. Matthew 28:20). According to this interpretation, a complete disruption or end of such Apostolic succession would mean that these promises were not kept as would an Apostolic succession which, while formally intact, completely abandoned the teachings of the Holy Apostles and their immediate successors; as, for example, if all the bishops of the world agreed to abrogate the Nicene Creed or repudiate the Holy Scripture. Orthodox teachings today are the same as that of the first Apostles, though their mode of expression has adapted over the centuries to deal with heresies, changes in culture and so forth. This form of the doctrine was first formulated by Saint Irenaeus of Lyons in the second century, in response to certain Gnostics. These Gnostics claimed that Christ or the Apostles passed on some teachings secretly, or that there were some secret apostles, and that they (the Gnostics) were passing on these otherwise secret teachings. Saint Irenaeus responded that the identity of the original Apostles was well known, as was the main content of their teaching and the identity of the Apostles' successors. Therefore, anyone teaching something contrary to what was known to be apostolic teaching was not, in any sense, a successor to the holy Apostles or to Christ. 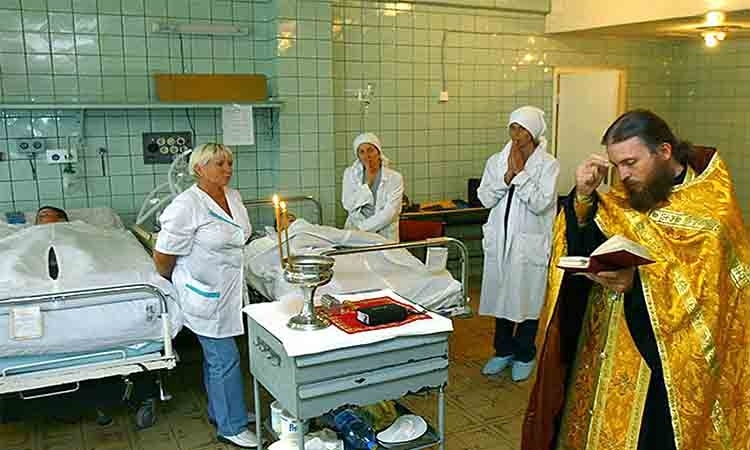 In addition to a line of historic transmission, Orthodox Christian Churches additionally require that a Hierarch maintain Orthodox Christian doctrine as well as full communion with other bishops. As such, the Orthodox do not recognize the existence of Apostolic succession outside the Orthodox Church, precisely because the episcopacy is a ministry within the "one, Holy, and Apostolic Church" of Christ. We have heard that some went out from us without our authorization and disturbed you, troubling your minds by what they said (Acts 15:24). As they traveled from town to town, they delivered the decisions reached by the Apostles and Elders in Jerusalem for the people to obey (Acts 16:4). 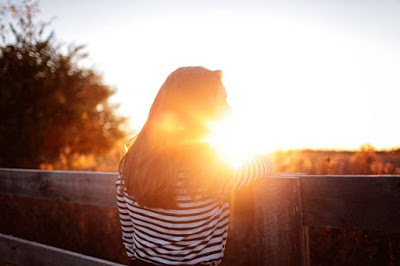 For we are not like many, peddling the word of God, but as from sincerity, but as from God, we speak in Christ in the sight of God (2 Corinthians 2:17). [Note: this shows that the Office they hold is more than self-appointed authority]. Having been built on the foundation of the Apostles and Prophets, Christ Jesus Himself being the corner stone (Ephesians 2:20). [Note: the word foundation is used to describe "the Apostles and Prophets", not just St. Peter]. Keep watch over yourselves and all the flock of which the Holy Spirit has made you overseers (Episcopoi). Be shepherds of the Church of God, which He bought with His own Blood (Acts 20:28). [Note: this is a clear testimony that the Holy Spirit appointed the Twelve to be "overseers" and "shepherds of the Church."]. 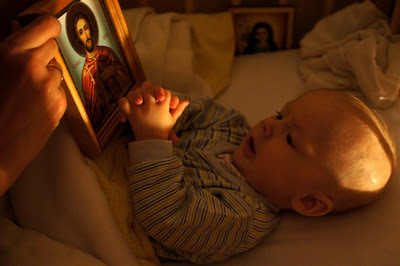 As you sent Me into the world, I have sent them into the world (St. John 17:18). [Note: the Holy Bible compares the Ministry of Jesus to that of the Twelve). 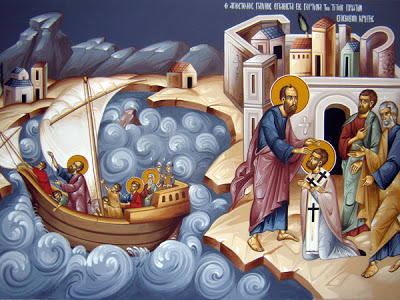 Saints Paul and Barnabas appointed Elders for them in each church and, with prayer and fasting, committed them to the Lord, in Whom they had put their trust (Acts 14:23). "Therefore, brethren, select from among you seven men of good reputation, full of the Holy Spirit of wisdom, whom we may put in charge of this task. But we will devote ourselves to prayer and to the ministry of the Word. The statement found approval with the whole congregation; and they chose Stefanos (Stephen), a man full of faith and of the Holy Spirit, and Philip, Prochoros, Nicanor, Timon, Parmenas and Nicolas, a proselyte from Antioch. And these they brought before the Apostles; and after prayer, they laid their hands on them" (Acts 6:3-6). "Do not neglect the spiritual gift within you, which was bestowed on you through prophetic utterance with the laying on of hands by the Presbytery (1 Timothy 4:14). [Note: This shows that divine authority is bestowed unto someone using laying of hands.]. See also Acts 1:15-26. Personal note: It is imperative that all Orthodox Christians know some basic theology and especially the history of the authentic Church of Christ. 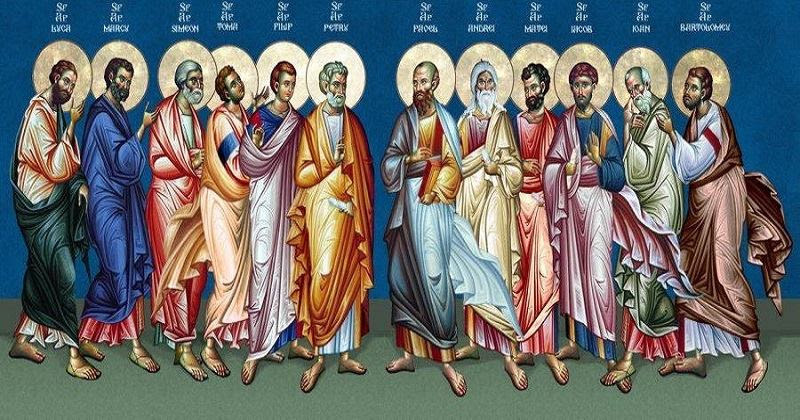 Holy and glorious Apostles, disciples called by God, teachers of the ecumene, all-wise and Spirit heralds of the Logos, accept our prayer and intercede to the Lord on behalf of our souls. Holy Apostles, Peter and Paul, who were the mystics and revealers of true wisdom, intercede with the Light-Giving Lord to rekindle the Light of the Paraclete also in our own souls, so that we may shake off spiritual indolence and restore the soundness of our mind. Holy John, eagle of Theology, beloved and visionary of the ineffable revelations and the divine mysteries, intercede to Christ, the Logos of God, that He may always manifest and reveal to us the Gospel of His Truth and His Holy Will. Saints Andrew and James, You who wiped out the darkness of idolatry with Your inspired teaching, intercede to the Lord to dissolve also the darkness of contemporary idolatry, so that redeemed from error we may worship and glorify the All-Holy Trinity. Divine disciples, Philip and Bartholomew, You who were clear-sounding trumpets of Christ, intercede to the Lord that we too may proclaim and preach the Commandments of the Savior Jesus Christ, without becoming disheartened by the difficulties of the world. Saints Thomas and Matthew, You who became excellent servants of the Logos of God, Who appeared on earth, and of the faithful souls, intercede that we too may serve the Lord and our brothers and sisters in the spirit of true discipleship. Rivers of the source of living water, Saints James and Thaddeus, You who irrigated with divine waters the desert land of God, irrigate again our souls that thirst for the Truth and for salvation. Spiritual shepherds and lambs of the Arch-Shepherd Christ, holy Apostles Simon and Mathias, intercede to the Lord that He may send out workers into His vineyard and produce zealous priests and shepherds for His Church. Amen. "Ν": Μπορείτε να διαβάστε την προς Εφεσίους (& όλη την Καινή Διαθήκη) εδώ & σε νεοελληνική μετάφραση εδώ. Για τον απόστολο Παύλο διαβάστε στις Πράξεις των Αποστόλων, εδώ. «Τα τέκνα υπακούετε τοις γονεύσιν υμών». Όπως ακριβώς αυτός, που κάνει ένα άγαλμα, σχηματίζει πρώτα το κεφάλι, μετά τον αυχένα, τον θώρακα, την κοιλιά, τα πόδια, έτσι και ο Παύλος προχωρεί από τις σχέσεις ανδρός-γυναικός, για τις οποίες μίλησε προηγουμένως (Εφεσ. 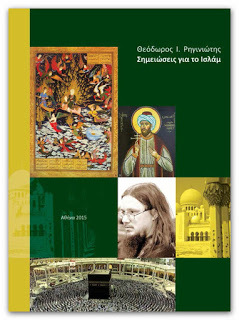 5, 21-33), στις σχέσεις γονέων-παιδιών για να ολοκληρώσει τη διδασκαλία του πάνω στο θέμα της οικογενείας. Η υπακοή των παιδιών στους γονείς τους είναι κάτι που το συνιστά και η φύση και η κοινωνία και ο Θεός. Τα παιδιά είναι μικρά, άπειρα, ανεκπαίδευτα και χρήζουν προστασίας, εκπαιδεύσεως, κοινωνικοποιήσεως, αναπτύξεως των φυσικών και πνευματικών αρετών τους. Μόνο αν υπακούουν και δέχονται την επίβλεψη και την κηδεμονία των γονέων τους θα απολαύσουν τα όσα αναφέραμε. Αλλά εκτός από αυτά που αναφέραμε είναι θέμα θελήματος του Θεού να σέβονται και ν’ αγαπούν τους γονείς τους. Ο δεκάλογος του Μωυσέως, με την πέμπτη του εντολή, λάμβανε ειδική και ξεχωριστή μέριμνα για το θέμα αυτό. «Τίμα το πατέρα σου και την μητέρα σου, ίνα ευ σοι γένηται, και ίνα μακροχρόνιος γένη επι της γης της αγαθής, ης Κύριος ο Θεός σου δίδωσί σοι» (Έξοδ. 20,12). 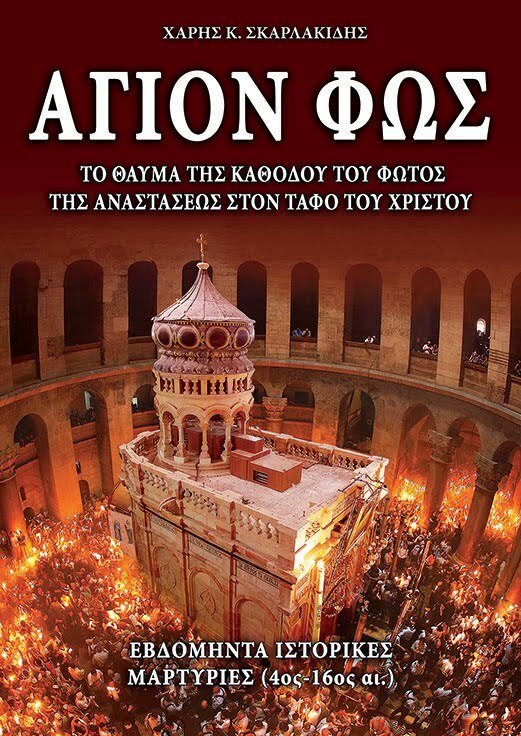 «Εν Κυρίω». Να υπακούτε όπως θέλει ο Κύριος αλλά κι όταν οι απαιτήσεις των γονέων σας είναι μέσα στα πλαίσια των εντολών και του θελήματος του Θεού. Δεν έχετε υποχρέωση να τους υπακούτε, εάν σας ζητούν κάτι αμαρτωλό ή κάτι που αντίκειται στις υποχρεώσεις σας προς το Θεό. Δεν μπορούν οι γονείς να ζητήσουν από το παιδί να μη γίνει ιερεύς ή μοναχός π.χ.. Δεν μπορούν να ζητούν από το παιδί τους να ν’ αγαπά το Θεό μετά απ’ αυτούς και στο βαθμό που αυτοί επιτρέπουν. 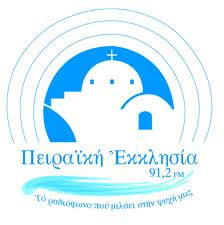 «Τούτο γαρ έστι δίκαιον». Και από τη φύση και από το νόμο του Θεού θεωρείται πρέπον και αρμόζον τα παιδιά να υπακούν τους γονείς. Αλλά και κατά λογική ακολουθία και ανάγκη πρέπει ν’ αγαπάμε τους γεννήτορές μας, που μας αγαπούν, μας φροντίζουν και μας προστατεύουν. Η υπακοή είναι η ελάχιστη αντιπροσφορά στη μαρτυρική αγάπη των γονέων. «Τίμα το πατέρα σου και την μητέρα σου, ήτις εστίν εντολή πρώτη εν επαγγελία». Είναι πρώτη στη σειρά των εντολών που σχετίζονται με τα καθήκοντα προς τους άλλους (5η-10η), αλλά και πρώτη που συνοδεύεται με υπόσχεση ανταμοιβής. Στις άλλες εντολές δεν υπάρχει ανταμοιβή, καθόσον απαγορεύουν το κακό και προστάσσουν ν’ απομακρυνόμεθα απ’ αυτό. Στις εντολές όμως που προστάσσουν να κάνουμε το καλό υπάρχει και η ανταμοιβή. Π.χ. «αγαπάτε τους εχθρούς υμών και αγαθοποιείτε και δανείζετε μηδέν απελπίζοντες, και έσται ο μισθός υμών πολύς, και έσεσθε υιοί υψίστου» (Λουκ. 6,35). Αλλά είναι «πρώτη εντολή» και με μία άλλη έννοια· οι γονείς, οι πρώτοι μετά Θεό αίτιοι της υπάρξεώς μας, πρέπει πρώτοι ν’ απολαύσουν τις ευεργεσίες μας. Προηγούνται των άλλων αναγκαστικά και υποχρεωτικά. Στην Α΄ προς Τιμόθεον 5,8 λέγει· «ει δε τις των ιδίων και μάλιστα των οικείων ου προνοεί, την πίστιν ήρνηται και έστιν απίστου χείρων». Χειρότερος και από τον άπιστο είναι αυτός που δεν ενδιαφέρεται και δεν φροντίζει για τους δικούς του! «Ίνα ευ σοι γένηται και έση μακροχρόνιος επί της γης». Δεν μιλά εδώ ο νόμος του Θεού για την βασιλεία των ουρανών και για τις μεταθανάτιες ανταποδόσεις. Απευθύνεται σε μικρές και ανώριμες ψυχές, που δεν μπορούν ακόμα να εξαρθούν σε υψηλά πνευματικά και θεολογικά μέτρα. Εξ άλλου είναι και στο πνεύμα της Παλαιάς Διαθήκης να τονίζει την εγκόσμιο και επίγειο ευημερία και ευτυχία. Η πρόοδος και η επιτυχία στους υλικούς στόχους, που έχει ένα παιδί, και η επιθυμία να ζήσει πολλά χρόνια είναι κάτι που και το κατανοεί και το ικανοποιεί. Ίσως ρωτήσει κάποιος· «αν έτσι έχει η εξήγηση, γιατί, αφού δεν αναφέρει τη βασιλεία του Θεού, αναφέρει το νόμο του Θεού;». Διότι την ύπαρξη του Θεού δεν την αγνοεί το παιδί. Είναι η αλφαβήτα της θεολογικής γνώσεως και πίστεως. Απλώς την ύπαρξη του Θεού την συνδέει με υλικές απολαβές καθότι ανώριμο. Στην προς Κολασσαείς επιστολή του ο Παύλος συνιστά για το ίδιο θέμα· «Οι πατέρες μη ερεθίζετε τα τέκνα υμών ίνα μη αθυμώσιν» (3,21). 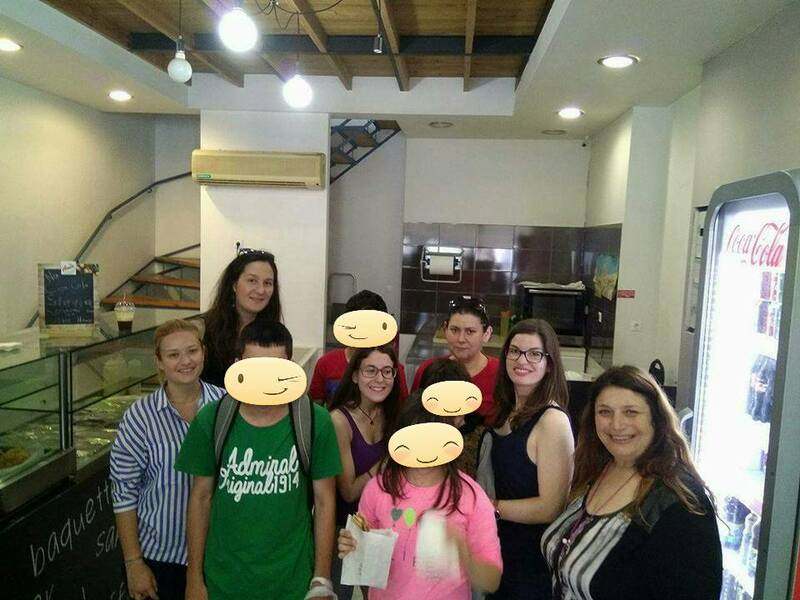 Δηλαδή μη ασκείτε σατραπικά και δικτατορικά την γονική μέριμνα και κηδεμονία, διότι έχοντας εσείς την δύναμη και τη δυνατότητα να τα πιέζετε, στο τέλος μπορεί να υποκύψουν, αν δεν φύγουν ή επαναστατήσουν με βίαιο τρόπο, αλλά θα αθυμήσουν. Θα χάσουν την όρεξη για ζωή και δημιουργία. Θα απελπισθούν και μπορεί κάποια απ’ αυτά να οδηγηθούν και στην αυτοκτονία. Στο σημείο αυτό όπως και σε αντίστοιχα χωρία για τους κυρίους και τους δούλους φαίνεται ξεκάθαρα ότι η αγία Γραφή δεν χαρίζεται σε κανένα και δεν στηρίζει μονομερώς κανένα. Το κήρυγμα των κληρικών πρέπει να τονίζει αυτές τις δύο διαστάσεις των θεϊκών εντολών ομοιόμορφα και με την ίδια συχνότητα. Σε κανένα δεν δίνει το ευαγγέλιο τη δυνατότητα να ασκεί την εξουσία του ανεξέλεγκτα και εική και ως έτυχε. Υπάρχουν φραγμοί και περιορισμοί που πρέπει να τους σεβαστούμε, αν θέλουμε να είμαστε εν τάξει με το Θεό. Και οι κληρικοί πρέπει συνεχώς να το τονίζουν αυτό. Λες και η σύνταξη είναι μαργαρίτα να τη μαδάει κατά το δοκούν ο κάθε μπαγαπόντης. Μελαγχολικός ο Φάνης στο μπαλκόνι. Χαζεύει τη βροχή. Φουμάρει ένα από τα δυο - τρία πολύτιμα τσιγάρα του. Είναι στιγμές που βασίζεται στην «τράπεζα των φίλων», βάζει ο ένας ένα πενηντάρι, παίρνει ο άλλος ένα εικοσάρι κι έτσι πορεύονται οι μέρες, ώσπου να μπει ο μισθός, αν δεν καθυστερήσει, ώσπου να μπει το «έναντι» ή η επόμενη σύνταξη ήδη πνιγμένη από τους προηγούμενους λογαριασμούς. «Τρίτη - Πέμπτη μακαρόνια και ο μάγκας βγάζει χρόνια». Πλούσιος στα γράμματα στα ίσα του από γρόσια, χριστιανός γαρ έδινε τον έναν απ’ τους δυο χιτώνες του στις εποχές της ψεύτικης ευμάρειας, τώρα μπαλώνει το πουκάμισό του για να σιδερωθεί ευπρεπώς. Και παραμένει γλυκύς, κατηφής μεν, οργισμένος επίσης, αλλά η σφιγμένη γροθιά του έχει μια γλύκα άφατη. ΑΠΟ ΤΗΝ ΠΑΡΟΥΣΙΑΣΗ ΤΟΥ ΒΙΒΛΙΟΥ "Η ΖΩΗ ΣΤΗΝ ΕΝΤΑΤΙΚΗ"
Σε αυτή την ευλογημένη στιγμή να σας χαιρετίσω και να πω ότι αισθάνομαι ιδιαίτερη τιμή που είμαστε εδώ, σε ένα τόσο υψηλό πάνελ ομιλητών για να προσφέρουμε στην παρουσίαση του βιβλίου της Βλασίας Μιχαηλίδου Τριπολιτάκη. Λέω "είμαστε", μια και θεωρώ ότι αυτή είναι η κύρια ιδιότητά μου εδώ – του γονέα – που με φέρνει κοντά σας σήμερα... Εκπροσωπώ το Σύλλογο Γονέων και Φίλων Ατόμων με Αυτισμό Ρεθύμνου, που η κα Μιχαηλίδου επέλεξε να προσφέρει κέρδη από τις πωλήσεις του βιβλίου της. Η αρχή της ζωής ενός παιδιού ανοίγει πάντα ένα νέο κεφάλαιο. Η χαρά της νέας ζωής σε γεμίζει ευτυχία, αλλά και ευθύνες για να ανταποκριθείς στο νέο σου ρόλο ως γονιός. Σήμερα είμαστε εδώ συνοδοιπόροι του αυτοβιογραφικού αφηγήματος της συγγραφέως, για να υποστηρίξουμε τις δυσκολίες του γονέα, όταν δεν συμβαίνει ιδανικά η αλληλουχία των στιγμών μιας γέννησης και έπειτα. Το παιδί είναι για το γονέα ολόκληρος ο κόσμος του. Τι συμβαίνει όμως όταν ένα παιδί γεννιέται με ένα πρόβλημα υγείας, ή διαγιγνώσκεται προγεννητικά; Μια γέννηση είναι πάντα η έναρξη μιας νέας ζωής. Μια νέας ζωής, που σε αυτή την περίπτωση μπορεί να είναι Γολγοθάς. Όταν από τα πολύχρωμα μπαλόνια και τις κάρτες με τις ευχές ένα νεογέννητο μωρό βρεθεί στην εντατική, αρχίζει η ανάβαση του μαρτυρικού Γογοθά, που τον βίωσε η μικρή Μαρία. Παίρνοντας ως έναυσμα και έμπνευση το βιβλίο της Βλασίας Μιχαηλίδου Τριπολιτάκη, θα πω μόνο λίγα λόγια για τη ζωή ενός γονέα με παιδί με αναπηρία. Τα πρώτα χρόνια της ζωής του παιδιού με διάγνωση είναι δύσκολα για αυτό και την οικογένεια. Εξετάσεις, νοσηλείες, δύσκολες επεμβάσεις, έρευνα για μεταβολικά νοσήματα και χρωμοσωμικές ανωμαλίες, ατέλειωτες επισκέψεις σε ειδικούς στην Ελλάδα και στο εξωτερικό, δυσβάστακτα έξοδα. Οι ιατρικές ορολογίες ειδικών δε με κούρασαν. Ένα λιγότερο προικισμένο σωματικά παιδί δε θα υστερούσε από το μερίδιο της μητρικής μου αγάπης. Αντιθέτως η σωματική μειονεξία της Μαρίας ενεργοποίησε την καρδιά μου τροφοδοτώντας την με περισσότερα αποθέματα πίστης, αφοσίωσης, τρυφερότητας. Οι προσπάθειες είναι επίπονες και συνεχείς. Επίσης δεν ξέρει πώς να παλέψει σε αυτό το νέο αγώνα, που ΔΕΝ τον ζήτησε στη ζωή του. Ξεκινά από το μηδέν, από την αρχή, και πολλές φορές πρέπει να ξαναγυρίσει πίσω και να ξαναπαλέψει. Τα παιδιά με ειδικές ανάγκες δεν είναι αυτονόητο ότι θα μάθουν μόνα τους ή με μια μικρή υπόδειξη την αυτοεξυπηρέτησή τους ή το να είναι αυτόνομα. Ίσως πολλά να μην το κατακτήσουν πλήρως, παρά την επίπονη εκπαίδευση. Ο γονέας συνεπώς πρέπει να παραμένει ακλόνητος βράχος, να θέτει μικρούς στόχους και να εργάζεται με υπομονή στα συχνά πισωγυρίσματα. Τελικά η γιατρός με γλώσσα ψυχρά περιγραφική μας εξήγησε το σοβαρό πρόβλημα της μικρής λόγω συγγενούς δυσπλασίας του εγκεφάλου. 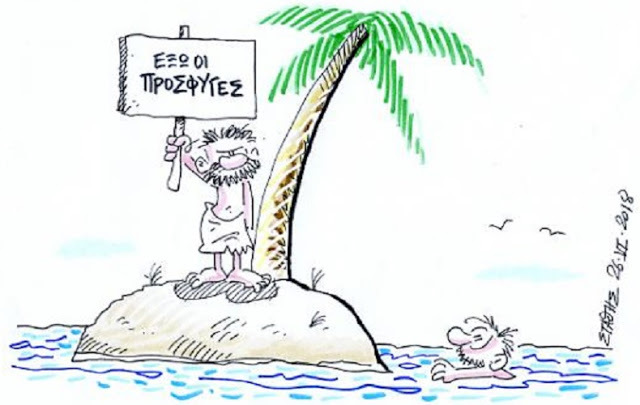 Το μέλλον της περιγράφονταν ζοφερό. Θα έπρεπε να είμαστε προετοιμασμένοι ή καλυτέρα να ευχόμαστε να καταλήξει σύντομα το ΚΑΚΟ παιδί (*), προκειμένου να γλυτώσουν τα υπόλοιπα μέλη της οικογένειας από μια ψυχοφθόρα διαδικασία. (*) "Ν": Κακό παιδί λέει η συγγραφέας με την έννοια ότι οι γύρω το θεωρούν ανεπιθύμητο, "βλαβερό" για την οικογένειά του και προτρέπουν τους γονείς, προγεννητικά, να το "ξεφορτωθούν". Βλ. και εδώ. Φανταστείτε λοιπόν έναν γονέα που στέκεται ακλόνητος βράχος, να παλέψει, να ξεπεράσει ιατρικά δεδομένα και διαγνώσεις και να πείσει ότι το παιδί του μπορεί να αντεπεξέλθει. Πόσες φορές δεν κρύψαμε το δάκρυ και κάναμε το λυγμό μας δεξαμενή υπομονής και πυγμής για το παιδί μας – εκείνο το ΚΑΚΟ, το άρρωστο, το παράξενο, το επιθετικό, το αγρίμι... Πόσο σκληρές λέξεις ηχούν τώρα, αγαπητοί μου, στ' αυτιά σας; Όμως εμείς τις έχουμε ακούσει πολλές φορές και απλά γνέψαμε συγκαταβατικά, κατεβάζοντας το βλέμμα. Ντραπήκαμε ίσως γιατί είμαστε αδύναμοι θνητοί, θυμώσαμε και αγανακτήσαμε, αλλά κρατήσαμε την αυτοκυριαρχία μας, για να προστατέψουμε το παιδί μας και την ψυχή μας. Κάναμε τον πόνο μας προσευχή και χαμόγελο, τη λαχτάρα και τα όνειρά μας πείσμα, για να αγωνιστούμε ακόμα πιο σθεναρά. Στενοχωριόμουν που εξαντλούσα την ώρα του επισκεπτηρίου στην επίπονη αυτή διαδικασία στερώντας της τα φιλιά και το χάδι που θα της έδινα … Στο τέλος πριν την αφήσω συγκέντρωνα όλη τη δύναμη της μητρικής μου αγάπης στο τελευταίο χάδι…. Ας θέσουμε τώρα ένα θέμα που θίγει το βιβλίο και αφορά την πρώιμη παρέμβαση και εκπαίδευση των παιδιών με ιδιαιτερότητες. … Η ικανότητα του παιδιού ακολουθεί προκαθορισμένα αναπτυξιακά στάδια… Η Μαρία μου ήταν τότε 5 μηνών αλλά δεν γινόταν σύγκριση με το τυπικό αναπτυξιακό μοντέλο. Ήθελα να τη βάλω σε κινητοποίηση των αναπτυξιακών της λειτουργιών γιατί πίστευα στις δυνατότητές της, ήθελα να πείσω τους γιατρούς πως παρά την επιδείνωση της υγείας της η ίδια είχε τη θέληση. Η πρώιμη παρέμβαση όσο το δυνατόν νωρίτερα, από το πρώτο έτος κιόλας της ζωής ενός παιδιού, είναι ο πιο ασφαλής τρόπος να δοκιμάσεις και να φτάσεις στο έπακρο των δυνατοτήτων του άτομου μέσα από την εκπαίδευση. Όσο και αν ηχεί παράξενο, είναι ουσιώδης η πρώιμη εκπαίδευση για την βρεφική, νηπιακή ή σχολική ζωή. Επίσης θέτει καλές πρακτικές για την ενήλικη ζωή ενός ατόμου με αναπηρία. Εμείς οι γονείς έχουμε ΠΙΣΤΗ, κάνουμε ΟΝΕΙΡΑ, να ξέρετε. Οι γονείς που βρίσκονται στο ακροατήριο καταλαβαίνουν απόλυτα τι λέω. Πετάμε εύκολα στα ουράνια, λες και μας δώρισαν τον κόσμο όλο, όταν βιώνουμε δυσκολίες. Αρκεί ένας καλός λόγος από τους γύρω μας, μια καλή είδηση, ένα αμυδρό φως ελπίδας. Όταν στάθηκα στο πιο ψηλό σημείο της οικοδομής πήρα μια βαθιά ανάσα. Το ανοιξιάτικο αεράκι τρύπωσε μέσα μου... Άνοιξα τα μάτια και ατένισα την θέα. Πόση ομορφιά μας έδωσες απλόχερα, Θεέ μου… Εικόνες άρχισαν να ξετυλίγονται μπροστά μου, τα μεγαλύτερα παιδιά να τρέχουν στον κήπο ανέμελα και η κόρη μου η Μαρία σε μια πολυθρόνα να κοιτάει χαμογελώντας…. Είδε ο άντρας μου αυτές τις εικόνες και με αγκάλιασε σφιχτά. Αυτή θα ήταν η νέα μας ζωή με τη χάρη του Θεού. 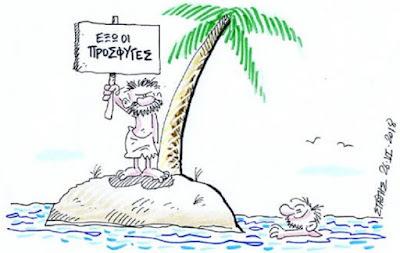 Της έλεγα (στη Μαρία) τα νέα από το ταξίδι. Τα σχέδιά μας και τα όνειρα... κι εκείνη προσηλωμένη στο πρόσωπό μου, απολαμβάνοντας την ηρεμία της μητρικής αγκαλιάς, ανταποκρίνονταν τόσο καλά, σαν να ήθελε να συντονιστεί στους ψυχικούς παλμούς του εσωτερικού μου κόσμου και να ενισχύσει αυτή την οικογενειακή ευφορία. Αυτό μας φέρνει εδώ σήμερα, αγαπητοί μου αναγνώστες. Η αγάπη για το παιδί και η πίστη. Ο άνθρωπος γεννήθηκε κατ’ εικόνα Θεού και καθαγιάστηκε με τη θεία ενανθρώπηση, τη Σταύρωση και την Ανάσταση. Τα παιδιά έχουν τη θεία ευλογία και είναι μέλος της Εκκλησίας και της θείας σκέπης. Δεν υπάρχουν ΚΑΚΑ παιδιά. Η μήτρα που κυοφόρησε το ανθρώπινο είδος, η μήτρα που αγιάστηκε με την θεία ενανθρώπηση, είναι το μέσο της άριστης δημιουργίας. Να προσθέσω τα λόγια του Κυρίου: "ὁ δὲ ᾿Ιησοῦς εἶπεν· ἄφετε τὰ παιδία καὶ μὴ κωλύετε αὐτὰ ἐλθεῖν πρός με· τῶν γὰρ τοιούτων ἐστὶν ἡ βασιλεία τῶν οὐρανῶν". Αυτά τονίζει ο Κύριος χωρίς διάκριση για τα παιδιά όλου του πλήθους. Έτσι συνέβη κα με τη μικρή μας Μαρία. Η ζωή επίγεια ήταν σύντομη όμως η μνήμη της αιώνια. Ο Κύριος έκρινε πως ο επίγειος ρόλος της Μαρίας είχε ολοκληρωθεί… Αφού η Μαρία μας μετέβη στη βασιλεία των Ουρανών ακολούθησα το δρόμο της προσφοράς στα παιδιά του Κατηχητικού και στα άτομα με ειδικές ανάγκες. Αυτό ακριβώς μας φέρνει όλους εδώ, αγαπητοί μου φίλοι. Η επιθυμία μας να είμαστε παρόντες στην προσωπική εξομολόγηση μια μητέρας για αυτή την τραγική περιπέτειά της. Να γίνουμε συγκοινωνοί, να βιώσουμε κοινές σκέψεις και να μοιραστούμε εκείνα που αγγίζουν και εμάς μέσα από το συγκλονιστικό αφηγηματικό κείμενο. Και είναι πολλά. Είμαστε όλοι υπό τη σκέπη των Ιερών Τεσσάρων Μαρτύρων, μάρτυρες κι εμείς της Θείας Πρόνοιας. Η Μαρία, με τα μεγάλα αγγελικά φτερά που κρατάνε το αδύναμο της σώμα, πέτυχε το στόχο αυτό. Μας ένωσε σε μια κοινωνία που χωρίζει. Μας πρόσφερε σε μια κοινωνία που μόνο παίρνει. Μας καθαγίασε βιώνοντας μέσα από το ανθρώπινο δράμα το θείο δράμα. Μας έδωσε χαρά μέσα από την Ανάσταση και την πρόγευση αιώνιας ζωής, με όχημα την σύντομη επίγεια ιστορία της. Αυτός ο άγγελος δεν έχει τη δική μας ανάγκη. Εκείνη επιτελεί και θα επιτελεί το θείο σκοπό της. Εμείς οι ζώντες πρέπει να σμιλέψουμε τις ψυχές μας με τα χαρίσματα που μας πρόσφερε η Μαρία και το κάθε αγγελικό πλάσμα που φεύγει πρόωρα. Ανθρώπινη ματαιοδοξία, απεικονίσεις όμορφων στιγμών που αναπολούμε καθώς γερνάμε θέλοντας να ξεγελάσουμε το φθαρτό της ύπαρξής μας και να αφήσουμε ένα μόνιμο αποτύπωμά μας κληρονομιά στους μεταγενέστερους. Το ποιο σημαντικό όμως είναι το αποτύπωμα που αφήσουμε στην ψυχή των άλλων με τα λόγια και τα έργα μας. 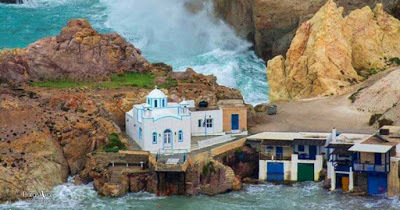 ΠΙΣΤΗ, αγαπητοί μου φίλοι. Αυτός ήταν ο δρόμος της επιλογής της Βλασίας, ο δρόμος κάθε χριστιανού. Να αφεθεί στην Πατρική αγκαλιά του Κυρίου και να ελπίζει. Να υπομένει τη επίγεια και να δεχτεί το Θάνατο. Το να αποδεχτείς την απώλεια, είναι μεγάλο γεγονός. Θέλει να περάσεις από μια εσωτερική ψυχική ενδοσκόπηση. Θέλει να φτάσεις στην άκρα ταπείνωση κα να αποδεχτείς το μαρτύριο ώστε να φτάσεις στο Γενηθήτω το Θέλημά σου, όπως ο Κύριος στην προσευχή του στο Όρος των Ελαιών. Θέλει να ακολουθήσεις δρόμους γαλήνης και προσφοράς, δρόμους ευθύνης και χαράς και να οικειοποιηθείς τον αβάσταχτο πόνο μετατρέποντάς τον σε ευλογία και θεία χάρη. Το ότι η κα Μιχαηλίδου Τριπολιτάκη έρχεται σήμερα με ένα αυτοβιογραφικό πόνημα και μας προσφέρει τις μνήμες της και επίσης προσφέρει τα έσοδα του βιβλίου της σε ένα φορέα που ασχολείται με τα άτομα με αναπηρία είναι πολύ σημαντικό. Φωτο από τη σελίδα του Συλλόγου στο Fb. 1η από δεξιά η συντάκτρια του παρόντος Ειρήνη Κλάδου. Για το Σύλλογο Γονέων και Φίλων Ατόμων με Αυτισμό είναι μεγάλη η τιμή. Μια παρέα γονέων με κοινές αναζητήσεις και προβλήματα, που μοιράστηκαν ένα όνειρο: να βοηθήσουν τα παιδιά τους. Πριν 11 χρόνια που σμίξαμε δεν φανταζόμαστε ότι θα είχαμε κάνει τόσο δρόμο δημιουργίας και πορείας. Τα παιδιά μας μεγάλωσαν και προόδευσαν, νέοι γονείς έσμιξαν και έγινε η ομάδα πιο μεγάλη. Η εσωτερική μας ανάγκη να προσφέρουμε εισακούστηκε από τους Ρεθυμνιώτες. Με την υποστήριξή τους, με την αγάπη τους, είμαστε εδώ πιο δυνατοί, μετά από πολλά χρόνια δράσεων, κοινωνικών συνεργασιών, εργαστηρίων δημιουργικής απασχόλησης για τα παιδιά μας, ενημερώσεων, υποστήριξης οικογενειών, γενικά έκθεσης και επιθετικής στάσης ώστε να καλύψουμε κενά στην εκπαίδευση, στην παροχή υπηρεσιών, στην ελλειπή κρατική μέριμνα για τα ΑμεΑ. Ώσπου ήρθε επιτέλους η ώρα να οργανώσουμε μια Δομή δημιουργώντας το Κέντρο Δημιουργικής Απασχόλησης ΑμέΑ. Το όνομά του, ΜΑΖΙ ΜΠΟΡΟΥΜΕ. Αυτό το λέω, για να βάλω και στην παρέα μας την Βλασία Μιχαληλίδου Τριπολιτάκη, που είναι κι αυτή χρόνια τώρα μαζί μας. Ξεπερνώντας κάποιες προσωπικές της δυσκολίες που την ευαισθητοποίησαν κοντά μας, μας απλώνει ξανά το χέρι να μας ενισχύσει με το υπέρτατο δώρο. Ένα δώρο που μας τιμά πολύ και ενισχύει το μέλλον του συλλόγου μας. Στη φάση που οργανώνουμε πλέον νέες δράσεις για ενήλικα ΑμεΑ, έρχεται η Βλασία φορώντας τα φτερά του δικού της αγγέλου να μας δώσει την ψυχή της και την προσωπική της χαρισματική παρουσία με το συγγραφικό έργο της. Να μας χαρίσει ένα κομμάτι από την δική της ευλογία, παρακαταθήκη της Μαρίας. Η Μαρία ξεκινούσε το δικό της ουράνιο ταξίδι και για μένα ξεκινούσε ένα άλλο οδοιπορικό ψυχικής μεταμορφώσεως, πνευματικής ανάτασης, ηθικής επαγρύπνησης, διακονίας, αληθινής ζωής, πλημμυρισμένης με αγάπη Χριστού. Η δοκιμασία αυτή ήταν επίσκεψη Κυρίου, βάδισα την οδό τη στενή και τεθλιμμένη αποβλέποντας όχι στα βλεπόμενα, αλλά εις τα μη βλεπόμενα, που είναι αιώνια. Συχνά λέμε ότι το μετερίζι μας, η σφραγίδα μας σε αυτή τη ζωή είναι τα παιδιά μας. Κάθε ζωή λοιπόν έχει την δική της αξία, ακόμα και εκείνου του ΚΑΚΟΥ παιδιου σαν την Μαρία!!! "Η βία γεννιέται όταν δεν γεννιέται ένα παιδί!!!!" γράφεται στον επίλογο του βιβλίου. Εκείνη η μάνα που τόλμησε να το γεννήσει είναι ηρωίδα, που τόλμησε να το κρατήσει, να το μεγαλώσει και να του δώσει φως και χαρά, εκείνη είναι η ηρωίδα. Οι ιατρικές προγνώσεις ξεπερνιούνται και παρέρχονται. Πού είναι η ελεύθερη βούληση που διδάσκει η θρησκεία μας; Το θέμα είναι να έχουμε, όπως πάντα λέμε στις ομάδες γονέων παιδιών με αναπηρίες που οργανώνουμε, ευτυχισμένα παιδιά και δυνατούς και χαρούμενους γονείς. Καλείσαι να προσφέρεις τα μέσα στο αυτιστικό παιδί, να ξεπεράσεις τα ελλείμματα επικοινωνίας του και να γνωρίσει τον κόσμο μέσα από την δική σου παιδικότητα, την οποία ανακαλείς στην μνήμη σου από την δική σου παιδική ηλικία. Τα παιδιά μας είναι ο κόσμος μας, το στολίδι μας κατά τους Αρχαίους Έλληνες. Είναι η δική μας προσωπική κατάθεση στο βωμό της ευθύνης για ένα καλύτερο κόσμο, για όλους τους «διαφορετικούς» και τους «κανονικούς ή συμβατικούς» με όραμα για μια δίκαιη συμβίωση, με οδηγό την αλληλοκατανόηση και την αποδοχή.